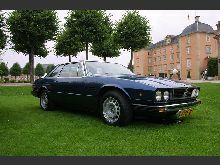 Following the collapse of the Maserati parentr, Citroen, a new model was announced by new owner, De Tomaso. 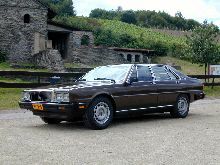 The new model, the Kyalami, featured an elegant two door, two-plus-two coupe body which had an enlarged front grille containing the famous Maserati "crown" logo. 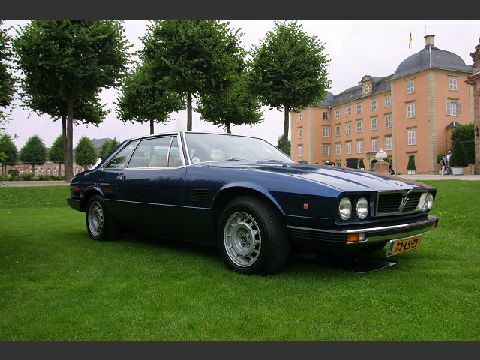 The Kyalami was a fine "Grand Touring" car and could reach 150mph effortlessly thanks to its mighty V8 engine. A choice of two different V8 engines were available for Kyalami customers to specify, either 4136cc or 4930cc units producing 255bhp/320bhp respectively. 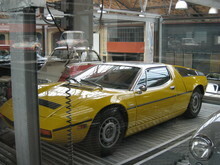 Sales of the Kyalami continued in small numbers until 1983.